"OLAF" redirects here. For the given name, see Olaf (disambiguation). OLAF achieves its mission by conducting, in full independence, internal and external investigations. It coordinates the activities of its anti-fraud partners in the Member States in the fight against fraud. OLAF supplies Member States with the necessary support and technical know-how to help them in their anti-fraud activities. It contributes to the design of the anti-fraud strategy of the European Union and takes the necessary initiatives to strengthen the relevant legislation. OLAF conducts administrative investigations. It has no judicial powers to oblige national law enforcement authorities to act on its follow-up recommendations. Regulation No 883/2013 governing the work of OLAF entered into force on 1 October 2013. This Regulation builds on the experience gained by OLAF since its creation. It provides a clear statutory basis that codifies past practice and reinforces the effectiveness of OLAF's investigative activities. The Regulation also sets the basis for a better exchange of information between OLAF and its partners. OLAF has a hybrid status. On the one hand, it is a Directorate General of the European Commission under the responsibility of Kristalina Georgieva, Vice-President in charge of Budget & Human Resources. On the other hand, it is independent for its investigative activities. In a Special Report of July 2005 the European Court of Auditors concluded that "the hybrid status of the Office, which has investigative autonomy but reports to the Commission for its other duties, has not adversely affected the independence of its investigative function. Being part of the Commission, the Office has been able not only to benefit from substantial administrative and logistical support, but also to take advantage of the anti-fraud legislation that is available to Commission departments". OLAF has a staff of about 420: police, customs and legal experts from the Member States. Former Italian prosecutor, Mr Giovanni Kessler was appointed OLAF Director-General by the European Commission, following consultation with the European Parliament and Council. He took up his functions in February 2011. The term of office is of seven years and is not renewable. OLAF was created in 1999. Following the events which led to the resignation of the Santer Commission, its predecessor UCLAF (Unité de coordination de lutte anti-fraude) was replaced with a new anti-fraud body (OLAF) with stronger powers. These also included conducting investigations within the EU institutions. An evaluation of the work of OLAF can be found in the Special Report of the European Court of Auditors of July 2005. The European Parliament took stock of the first six years of OLAF during a public hearing in July 2005. The UK House of Lords, in a report published in November 2006, stated: "On the basis of the evidence we have received we emphatically refute claims that OLAF is too close to the Commission or that the Commission seeks to divert and influence OLAF’s investigative activities". The House of Lords concluded: "We are content with the extent of the investigations which OLAF has undertaken." One OLAF investigation concerned alleged wrongdoings in the EU statistical office EUROSTAT. The case caused political problems for the Prodi Commission in 2003. OLAF was accused of having started its investigation only after the press reported about the case in 2002-2003. As a result, on 8 July 2008, the European Commission was asked in the judgement of case T-48/05 of the European Court of First Instance to pay 56,000 euros to Eurostat's Director-General Mr. Franchet and its director Mr. Byk. An investigation in 2004 aimed to identify a leak within OLAF's own ranks. 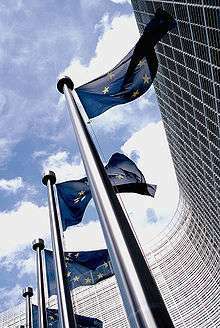 In February 2002, the journalist who had first written about the EUROSTAT case, the then Brussels correspondent of the German magazine Stern Hans-Martin Tillack, and subsequently also other journalists had published details from a confidential OLAF document. Quoting that document, Tillack revealed that OLAF was in the possession of serious fraud allegations against EUROSTAT. Two years later and based on statements by a former Commission spokesman, OLAF claimed that Tillack might have received the internal documents from an official in exchange for money and passed this information to the Belgian public prosecutor. In 2004, following a request from OLAF, a Belgian judge ordered a search of the journalist's home and office in Brussels where the authorities seized his archives and his mobile phone. On the basis of the same information, the German authorities opened also an investigation but decided not to search his German offices. It is unclear why the suggestion was made that a pressing reason for the search would be the journalist's expected move to Washington while, in fact, he left Belgium for Hamburg. Following these events, Tillack initiated legal proceedings in Germany, Belgium, Strasbourg, and before the European Court of Justice. His complaint before the German courts against the Commission spokesman on whose statements OLAF had based the case was unsuccessful as were his appeals to the Belgian courts. Tillack subsequently took Belgium to the European Court on Human Rights in Strasbourg who ruled in 2007 that Belgium should pay EUR 10,000 in damages. The journalist also took OLAF to the European Court of Justice where all his pleas were dismissed. Tillack complained to the European Ombudsman, who wrote a special report in May 2005 in which he recommended that OLAF should acknowledge that it made incorrect and misleading statements in its submissions to the Ombudsman and that the European Parliament could consider adopting his recommendation as a resolution. However, the competent European Parliament rapporteur was not given the green light to propose that the Ombudsman's suggestion be taken on board. An – incomplete – overview of the events is given in the judgement of the European Court of First Instance. OLAF is not only competent to investigate matters relating to fraud, corruption and other offences affecting all EU expenditure, but also relating to some areas of EU revenue, mainly customs duties. Tobacco smuggling causes huge losses to national and the EU budget, hence OLAF investigates and coordinates criminal cases relating to large-scale, international cigarette smuggling. In addition to its investigative work, OLAF also supports the EU Institutions and Member States in shaping tobacco anti-smuggling policy. 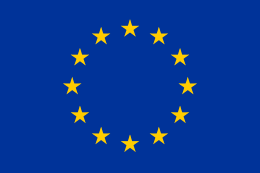 Following litigation before US courts, and to address the problem of contraband and counterfeit cigarettes, the EU Member States and the European Commission signed (between 2004-2010) legally binding and enforceable agreements with the world's four largest tobacco manufacturers. The companies agreed to pay a collective total of $2.15 billion to the EU and Member States. With the agreements, the manufacturers have also committed themselves to comprehensive rules concerning sales and distribution practices to promote compliance with EU and national rules as well as to ensure that their genuine cigarettes are sold, distributed, stored and shipped in accordance with all legal requirements. While OLAF is a largely successful organisation, it is not without faults and challenges. 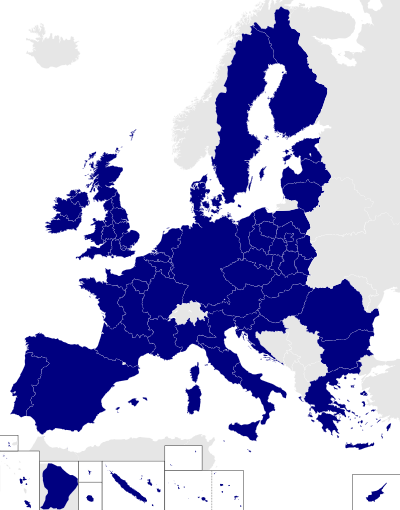 Most notably is how reliant it is on the cooperation of European Member States. OLAF is not a sanctioning body, it does not have any powers to prosecute or discipline, only to make recommendations. It is up to the relevant judicial bodies and EU institutions to follow the recommendations and take action or not. Responses to OLAF's recommendations vary between states, EU institutions and smaller judiciary bodies. For example, most Hungarian authorities have all refused to sign cooperation agreements with OLAF and rarely follow recommendations despite there being high levels of corruption within the country. It has been suggested that Hungary refuses to cooperate because the corruption is in the interests of the authorities, and OLAF lacks the influence needed to force cooperation. EUROPOL and EUROJUST are two organisations OLAF struggles to work with, because OLAF feels like they encroach on its jurisdiction and have no place in fraud investigations. There is no one legal code to protect the European Budget - each Member State has their own legal systems, with their own law enforcement and evidence collecting methods and this can reduce the efficiency of OLAF. Its efficiency is also hindered by reliance on state/agency cooperation, cultural, legal and language barriers and complications arising from cross-border investigations. ↑ "OLAF Annual Report 2014" (PDF). ec.europa.eu. p. 32. ↑ "European Parliament press releases". European Parliament. ↑ "Sector 6 renumbering". europa.eu. ↑ European Ombudsman. "Special Report from the European Ombudsman to the European Parliament following the draft recommendation to the European Anti-Fraud Office in complaint 2485/2004/GG»European Ombudsman" (PDF). europa.eu. ↑ "European Commission - OLAF - Tobacco smuggling". europa.eu. 1 2 3 4 5 Quirke, Brendan (2009-07-09). "OLAF's role in the fight against fraud in the European Union: do too many cooks spoil the broth?". Crime, Law and Social Change. 53 (1): 97–108. doi:10.1007/s10611-009-9214-0. ISSN 0925-4994. 1 2 3 "Hungary withholds full cooperation with European Anti Fraud Office". 2016-03-11. Retrieved 2016-07-20. 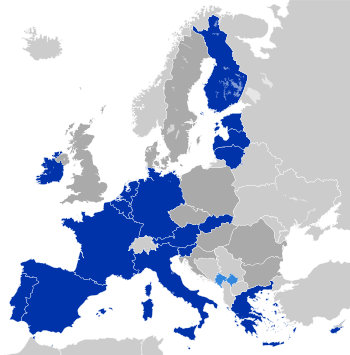 Wikimedia Commons has media related to European Anti-fraud Office.